A screenshot of the first working window after refactoring the IRC client. 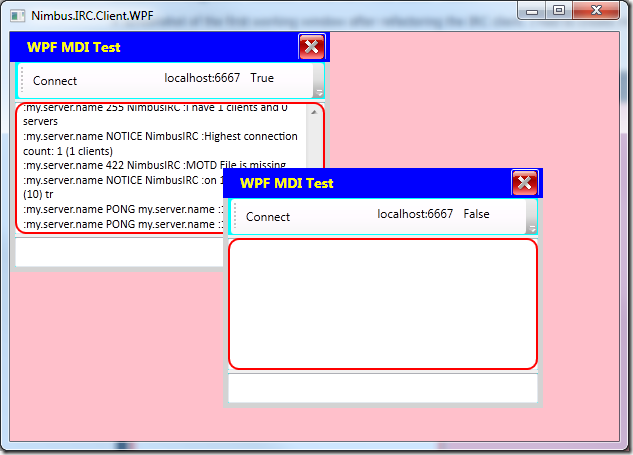 I had to create my own MDI window in WPF as it doesn’t support it. Extra fun when it doesn’t support inherited user controls, but that wasn’t too difficult to solve. 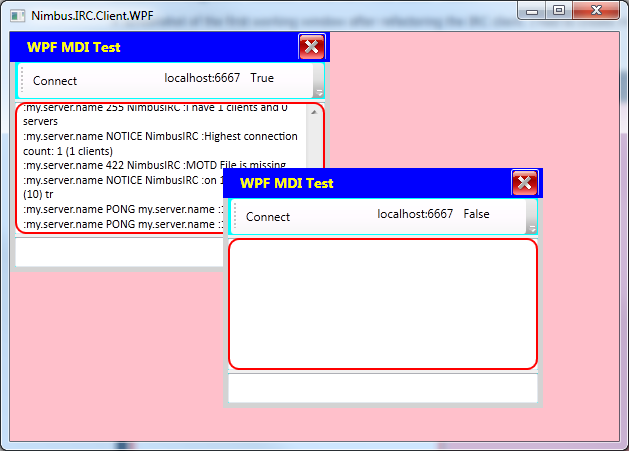 Just made a class to inherit MDI window and then programmatically added a user control as content during instantiation.